Below are some of my finest works shown in print publications and on web sites, some of the awards the works have won and television mentions and interviews. Hellusion is featured in the Maximum PC Holiday 2007 issue as "Rig of the Month". CaseModGod got a nice write up in the PC Modding for Dummies book. 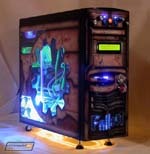 Bawls Guarana ran the Cenobite PC as their January 2005 "Out of the Box" mod winner. Computer Gaming World magazine featured the Cenobite PC in their QuakeCon 2005 article. The GTTV modder interview at QuakeCon 2005. G4 - "Attack of the Show" interview at QuakeCon 2005. CMG at QuakeCon 2005 and taking first place in the Creative Case Mod Competition. The Cenobite PC, August 2005 Corsair Mod of the Month. This interview appeared in the news tribune Soundlife section. French Magazine PC Tuning featured the Cenobite mod before it was even finished. MaximumPC saw fit to feature MOBY2 as their August 2004 "Rig of the Month". CMG got a mention in the March 2004 issue of Popular Science magazine. We got a nice little write up in a computer/technology magazine that circulates in the UK. CMG got mentioned in the Washington Post. This is definitely one of my personal favorites, there is nothing better than being immortalized in cartoon form. 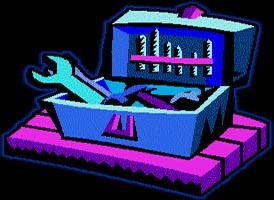 The site got serious props in The New York Sun's article about the phenomenon that is case modding. There are so many great and creative modders out there with unbelievable and inspiring cases, those whose skill and ability produce the worlds finest and most memorable mods will be featured here. The list is currently very shy when compared to the amount of talented modders out there. SlipperySkip Interview With the recent re-launch of the site I thought it only fitting to invite one of my long time modding heroes and a true case mod god to a Q&A session. Jeffrey Stephenson (aka: slipperyskip) is one of the founding fathers of modding and the hands down master of miniature computer modification. He takes time out of his busy schedule to answer my questions... file this one under "Best. Modder. Interview. Ever." His mods were first pointed out in our former forums under the header of "Best mods ever", a bold statement that may not be considered true by all, but I think it would be agreed that they are in every sense of the word art. With some of the cleanest cuts and detailed paint jobs I have seen on a modded case I felt an interview was in order. CMG gets a little Q&A time with a very talented Russian modder and the owner of www.ProModz.ru, BeWize. In our first ever site interview we have a discussion with Bret, the former owner of soulsend.com. Bret is not only a master modder but a webmaster as well with a site entirely devoted to the hobby, he even includes how-to guides for some of his mods... you've got to like that. If for nothing more than to get a little modding inspiration and to see a bunch of mods done right I highly recommend a visit to Souls End. 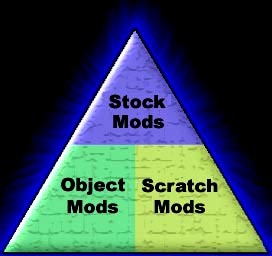 Some of the articles below are old, the inverter rant is the oldest and the moddrs toolbox article needs an update, but the modding triad article is spot on and a good read for anyone wanting to know what modding is mainly about. Sushi Plates, Chopsticks & Napkins... of the FUTURE! Designed in Google Sketchup (awesome software) and built on the dining room table, it was the only design entry that actually exist as a fully working computer, sadly my entry didn't win, place or show. Two years running now the jurors have awarded top prize to dinner item/dining utensil based entries - since napkins and plates are good I'm calling shotgun for next year on "The BiB-puter", "CondimentPC", "PlaceMat-Compu-Coaster", "PC Porta-Spork" and "Wet-Nap Cluster" as my entries. Seriously though, it's a fairly proud accomplishment just to have been selected as a finalist in the competition... also, I'm glad it's finally over. The Illusion PC design has been displayed recently on a number of tech and gadget sites - click on to read what's been said about it - Gizmodo, TechEBlog, Techpin, UberGizmo, SlashGear, Softpedia, Digg, Crave, Shaktronics, BoingBoing, ForeverGeek & Engadget. Heat is an ever present issue for those that custom build or overclock PC's, from hand built scratch mod cases to watercooled high end systems, knowing your component temps makes adjusting for them a lot easier. 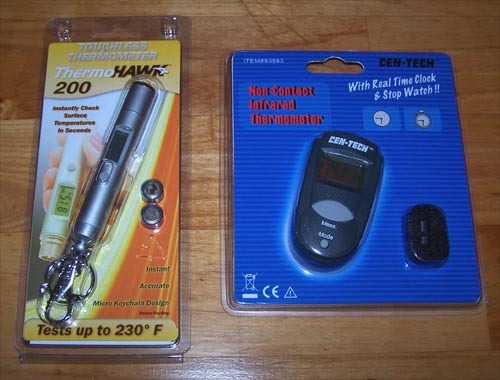 In our latest review we have a look at two differently designed yet very similar non-contact infrared pocket thermometers to help determine which one is right for your PC modding toolbox arsenal. 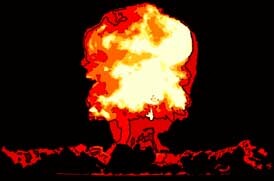 With so many 'Mod it Til it Bleeds!' guides on the site it is easy to overlook some of the information contained within them, but that's ok because we've got you covered. The following how-to's have been lovingly hand plucked from their original articles to become stand alone independent guides that will hopefully serve to help in teaching a bit more about modding. All mods are not created equal, nor are they all the same. Believe it or not there are in fact three distinct schools of modding and this article will hopefully clarify the differences between each unique type while demystifying case mods on every level by including links to outstanding examples of modding in each category. I have tried case modding both ways and the "do the best with what you've got" method will only get you so far, I have found having the right tool for the job makes all the difference and also makes for a more professional finished mod. I hope that this guide gives those new to the hobby an idea of the tools available to make case modding easier and also a little insight into their use. Cold Cathodes are arguably the most popular product used today for lighting the interior of a modded PC. They are easy to install, inexpensive, bright and readily available in a wide range of color, lengths and shapes... but are they safe? Short answer, not always.